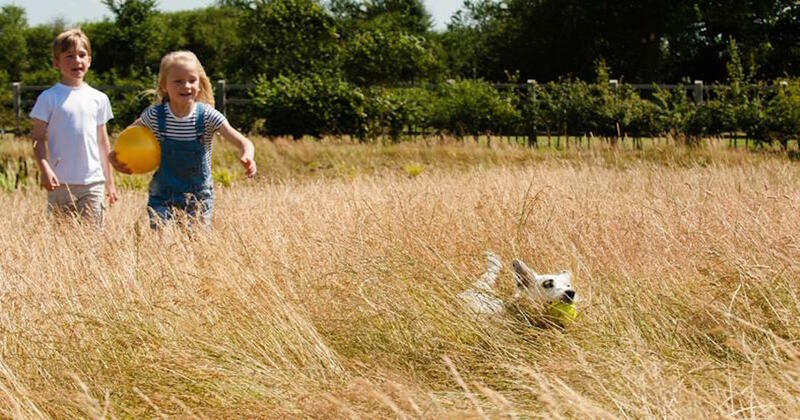 • The film coincides with the launch of the Get A Dog campaign to inspire families to adopt a dog and make the most of their summer. Today our nation’s children are spending more time on technology than ever before, resulting in less family bonding and an impact on physical health. The UK’s largest dog welfare charity, Dogs Trust is making the issue a top priority by highlighting the benefits of dog ownership for the whole family. A survey by Dogs Trust found that parents cite the family dog as a distraction for children that are ordinarily glued to tech. 42% say the family take more exercise thanks to the pet and nearly half view their dog is their child’s best friend. The survey also asked parents about their own childhoods and found that, overwhelmingly, growing up with a dog is seen as a positive part of their childhood. • 69% of parents surveyed grew up with a dog and of those, 93% believe their family pet enriched their own childhood. • Of those surveyed who felt their family dog enriched their childhood, 39% said it taught them responsibility. • 43% of those who have dogs now have sentimentally chosen the same breed they had when they were growing up. Dogs Trust launches their Get A Dog campaign to inspire families to start making technology-free memories this summer by adopting a dog. The charity has created a comedic video with Don’t Panic that demonstrates the humorous inadequacy of an iPhone or Xbox, compared to the genuine fun that can be had with a pet, and encourages parents to consider getting a family dog. Owning a dog as a family can be extremely rewarding as dogs can act as companions and support for children. They provide them with a sense of responsibility as they get involved with their daily care and understand the commitment, and children with dogs are often more physically active, playing with the dog and taking them for walks, which can help with health related issues.